You can generate an infinite amount of fractal compositions in Aural and exports them as a Midi files, so you can use them in your favorite music composer software. Aural can use AI to generate fractal music. 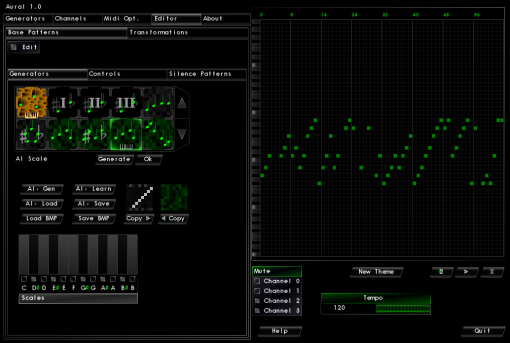 The program can learn your fractal music style. 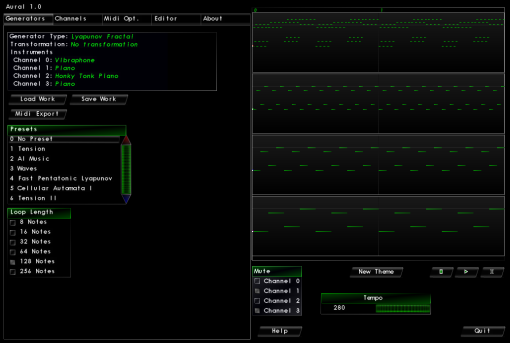 You can change parameters such as a music generators, transformations and many others like Tempo. No previous musical knowledge is needed.